Sunday, January 17 at 2:30 p.m.
Tickets: $35/$28 Japan Society members. follows the performance on Thursday, January 14. 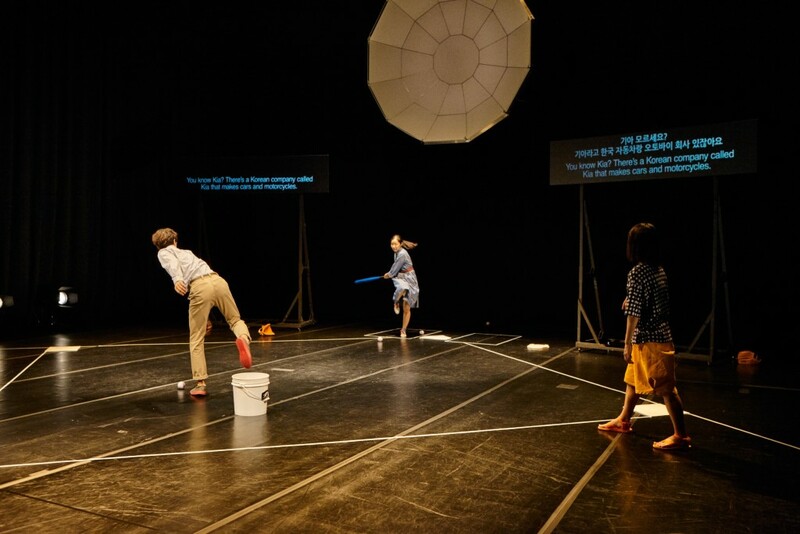 The North American Premiere of God Bless Baseball, written and directed by Toshiki Okada, who has earned international recognition and acclaim for his own independent work as well as that of his theater company chelfitsch, plays four performances at Japan Society, kicking off a U.S. tour that will make stops at FringeArts, Philadelphia; Museum of Contemporary Art Chicago; The Wexner Center for the Arts at The Ohio State University; The Clarice Smith Performing Arts Center at the University of Maryland. Featuring an ensemble cast of Japanese and Korean actors and an inventive stage set by internationally known visual artist Tadasu Takamine, this new work pulls at the thread of a beloved pastime – examining its influence far beyond the sporting arena. This work was developed out of a commission to create a new work for the inaugural festival of South Korea’s large-scale national culture complex in Gwangju, the Asian Arts Theatre, in September 2015. Prior to receiving the commission, Okada had worked extensively and built artistic ties with counterparts in South Korea through activities including participation in Festival Bo:m, an art festival held annually in Seoul and other cities. The cast for this production was assembled through auditions held in both Japan and Korea, and comprises actors who are not part of Okada’s chelfitsch theater company. 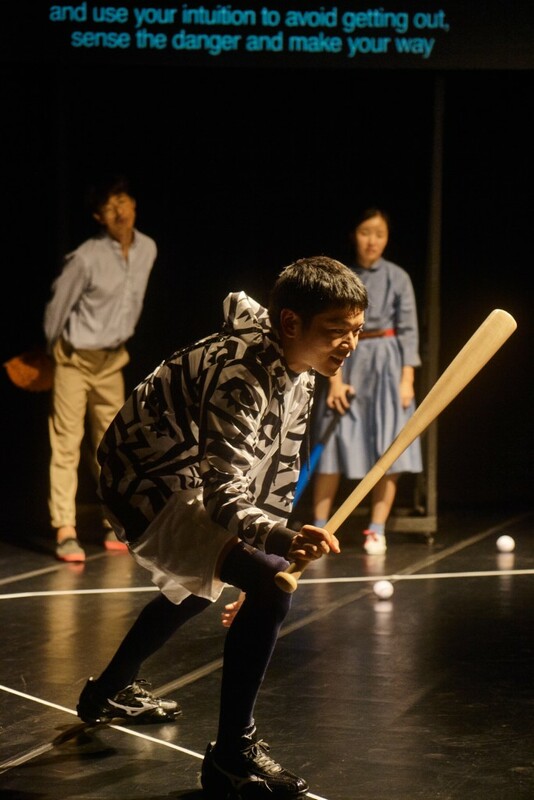 In his process around this piece, Okada endeavored to reflect actual baseball-related memories of the actors, through creative collaboration and brainstorming. The play will be performed in Japanese and Korean with English titles. The New York engagement is part of the The Public Theater’s Under the Radar Festival. Over the last 12 years, The Public’s Under the Radar Festival has presented more than 194 companies from 40 countries. It has grown into a landmark of the New York City theater season and is a vital part of The Public’s mission, providing a high-visibility platform to support artists from diverse backgrounds who are redefining the act of making theater. For more information about God Bless Baseball and to purchase tickets, please visit Japan Society’s website. Saturday, January 16 from 1:00 p.m. until 4:00 p.m.
Toshiki Okada, internationally acclaimed playwright/director and founder of the widely lauded theater company chelfitsch, leads a workshop introducing his characteristic theater techniques and everyday movements of fidgets and twitches that expand the conventional vocabularies of theater and dance. Maximum 15 participants. Professional performance/directing experience required. Participants must wear socks and activewear (no jeans).